Microsoft’s Cortana virtual assistant is digging deeper into users’ email accounts in hopes of creating more useful reminders. 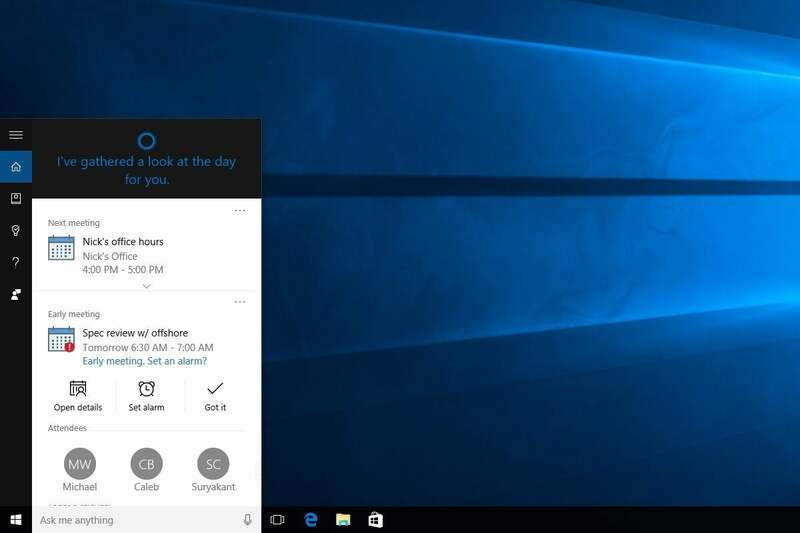 With the latest Windows 10 Insider build, Cortana will scan for commitments that users make via email, and then offer to create a reminder. For instance, emailing “I’ll get you this report by the end of the day” to your boss will create a reminder card in Cortana’s main menu. As The Verge points out, this reminder process isn’t completely automated. 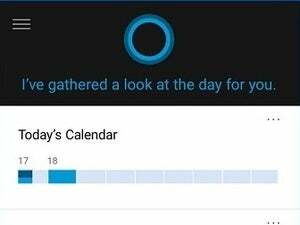 Users will still have to click a button in Cortana’s menu to set the reminder, so they won’t be unnecessarily pestered by reminders they didn’t intend to create. And because the email scanning happens locally on the device, Microsoft won’t store any email data unless users click the “set reminder” button. Users can also disable the feature entirely if they don’t want email-based reminder cards to appear. Beyond email reminders, Cortana is also getting a bit more proactive with calendar appointments. Users will get an alert if someone sends a last-minute meeting request, or if a request falls outside of the user’s typical meeting times. The idea is that users can quickly reschedule or adjust their routines in response to these requests. Email reminders are launching today in the United States for Windows 10 Insiders, and the new calendar alerts are available in the United States and United Kingdom. The new features should roll out to all Windows 10 users soon, but Microsoft is still figuring out how to bring them to Cortana on iOS and Android. Why this matters: Microsoft says its goal with Cortana is to mimic a real-life personal assistant, and says these new features are just the beginning. Compared to Google Now and Apple’s Siri—both of which have ramped up their own proactive features in recent months—the focus for Microsoft seems to be more on productivity. 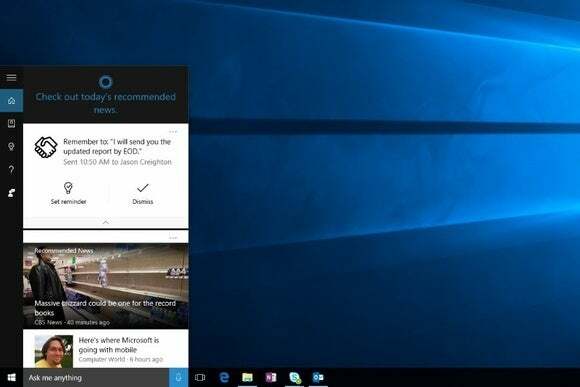 That focus could help Cortana stand out as Microsoft expands its virtual assistant beyond Windows devices.